A much loved tenant activist, Elsie Naisbett has passed away recently. Elsie, who was 84 lived on the Studley Estate in Stockwell and was awarded an MBE for her services to the community. She lived on the estate for an incredible 47 years, and helped a number of estates to transfer to being run by housing associations, along with investment from the Labour government in 1998. She subsequently became the vice-chair of the Hyde Southbank Housing (HSH) Association board (declaration of interest - I am currently a member). HSH published a report this week in partnership with the think tank Demos on community activism. 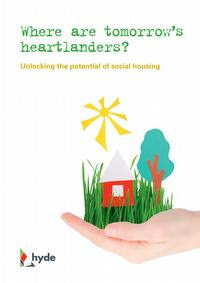 Entitled ‘Where are tomorrow’s heartlanders?’ it is dedicated to Elsie and looks at the potential of a new generation of tenant champions from social housing.